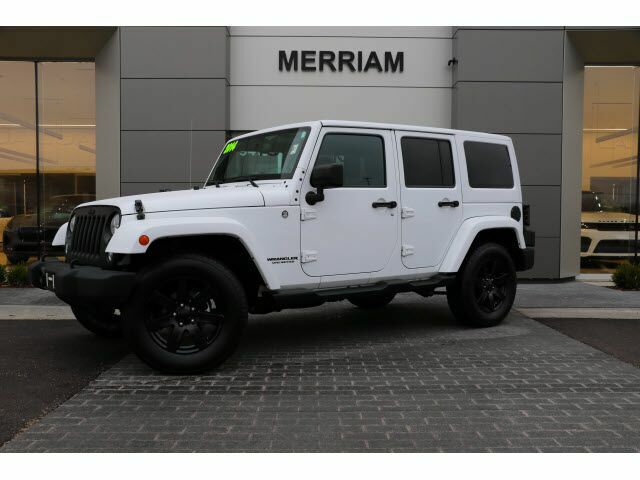 2014 Jeep Wrangler Unlimited Altitude Edition Local 1-owner Trade-In, Clean Inside and out with Low Miles! Loaded with Options: Altitude Package Wheels, Heated Black Leather Front Seats, Body Colored 3 Piece Freedom Top, UConnect Navigation, A/C with Automatic Climate Control, Remote Start, Trac-Lok Differential Rear Axle, 5 Speed Automatic Transmission with Hill Descent Control, Special Edition Hard Spare Tire Cover, Supplemental Front Seat Mounted Side Airbags, Class II 4 inch Receiver Hitch and More! Please Contact Brian Stacy 1-855-979-0255 to Test Drive Today! Aristocrat Motors, Kansas City's premier luxury dealer strives for the highest levels of customer service. Voted "Best in Business" by the readers of Ingram's magazine, our customers are our number one priority.